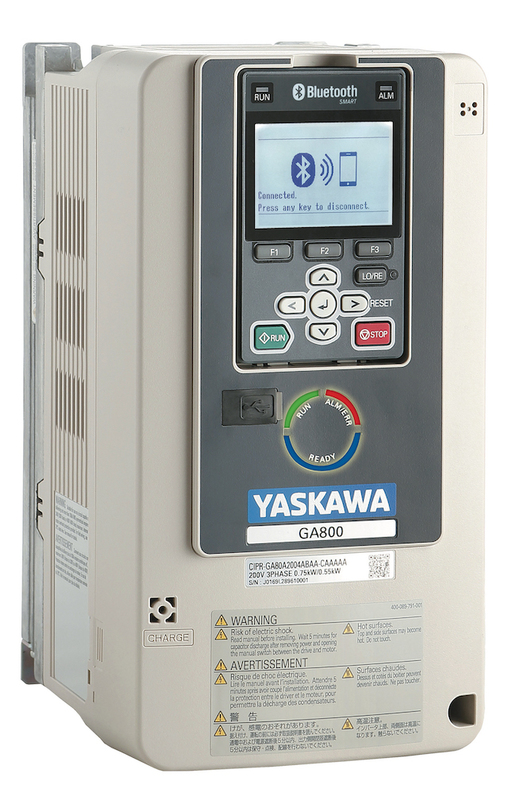 Yaskawa America's GA800 is designed to control traditional and emerging motor technologies through 600 HP. Photo courtesy of Yaskawa America, Inc.
Yaskawa America, Inc. has released the new GA800 Variable Speed Drive, designed to control traditional and emerging motor technologies through 600 HP. 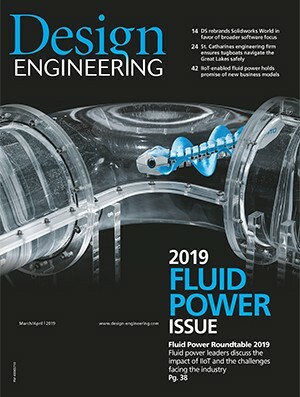 It handles applications ranging from simple fans and pumps to high-performance test dynamometers requiring precise regulation while simulatneously providing flexible network communications, embedded functional safety, and easy-to-use tools featuring mobile device connectivity. The G800 drive is available in 240 VAC Three Phase (1 to 150 HP) and 480 VAC Three Phase (1 to 600 HP) models. The GA800 addresses applications handled by its predecessor, the A1000 drive, including data-logging with DriveWizard Mobile for convenient and easy interaction. Programming can be done through an embedded USB port, and an advanced Open Loop Vector produces impressive torque and near tripless operation. The Integrated brake transistor is utilized for cost-effective heavy braking, while an embedded Safe Torque Off minimizes downtime for applications requiring occasional intervention (SIL CL3, PLe, Category 3). A standard conformal coating helps resist contamination throughout.